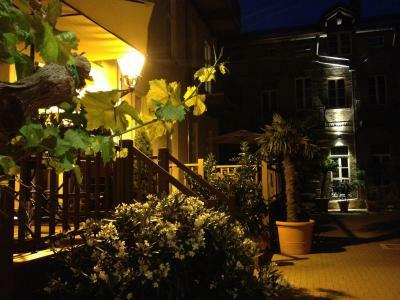 Lock in a great price for Garden Living - Boutique Hotel – rated 9.2 by recent guests! We had a lovely room that was clean, beautiful and very roomy. 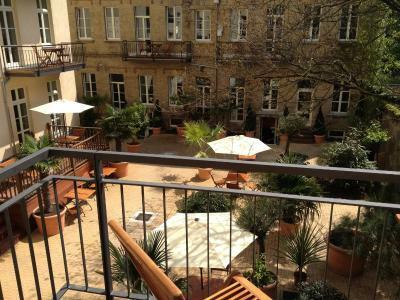 It was a great location close to the train station. The bed was slightly firm for our taste but still comfortable. I dare to say, this place has magic. It is a relaxing, calm island in the middle of Berlin. Very very friendly and helpful Staff, all perfect. Nice backyard , I wonder how it is in summer ? 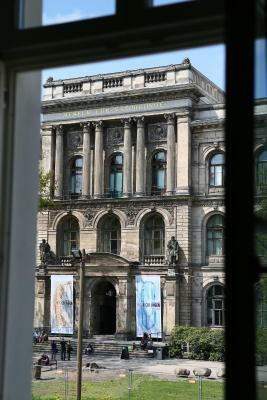 Quite OK location for Naturkunde Museum and East Berlin sights. A bit further from Kudam , but should not form a problem with public transport. Beautiful large room, modern, warm. We stayed with our 3 years old, and she loved all the games in the garden. It was perfect. The room was clean and quiet, with a lovely view of the garden/patio. A bonus was the little balcony that even had a chair and a small laptop table. The breakfast was well worth the extra cost. really spacious, everything is just right! feels just like home! I had three bookings, 2 stays: first stay, July 9 - 27, with my husband, at a spacious one bedroom apartment at the back overlooking the beautiful quiet garden. Although we eat out most of the time, but we quite enjoy the kitchen facility provided, very handy to enjoy store bought foods for late night snacks. 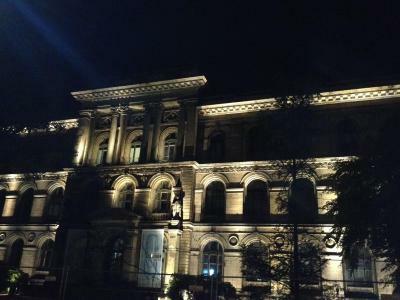 second stay: August 13-16, by myself, so I had a room at the front of the building facing Natural Museum. Still, I had access to a share kitchen. We particular appreciated one of the fellow worker; he had very good manner and polite, always knock upon entering. Garden Living is more like a residential stay then a hotel, with limited hours at the front desk. I had one late arrival, I followed instruction retrieving my key with no issue. There was no air conditioner, but electric fans was provided. 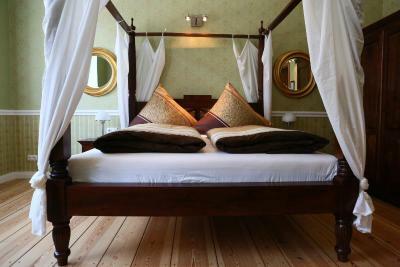 The tasteful decor, quiet setting, high ceiling and spacious comfortable rooms certainly worth mentioning. Room was HUGE. 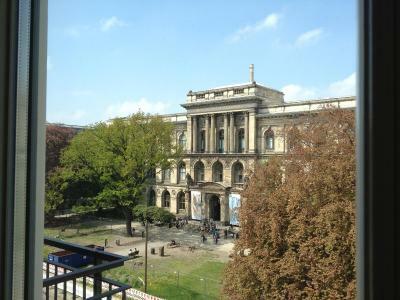 I opted for cheapest room so I didn't get the view of the courtyard but it was overlooking the Natural History museum which was lovely. You have to pay extra for breakfast (7.50) but it's well worth it - really delicious and the setting in the courtyard is fabulous. Bed was enormous and super comfortable. Front of house staff were delightful and really helpful. 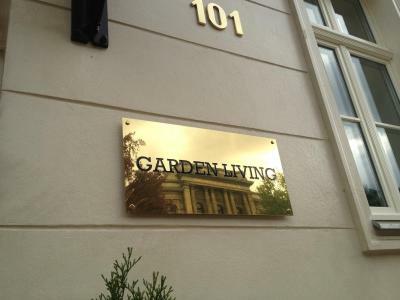 Garden Living - Boutique Hotel This rating is a reflection of how the property compares to the industry standard when it comes to price, facilities and services available. It's based on a self-evaluation by the property. Use this rating to help choose your stay! One of our best sellers in Berlin! Just 1,650 feet from Berlin Main Station, this stylish hotel offers a garden, free WiFi and rooms and apartments with a balcony. The Reichstag Parliament building is 1.2 mi away. The rooms at Garden Living feature cable TV, a desk and a private bathroom. 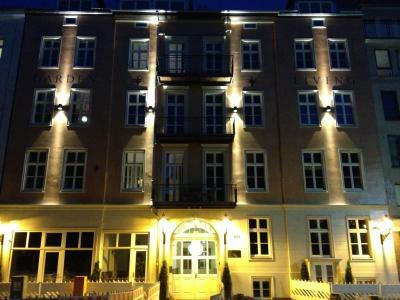 Each one has elegant interiors with wooden floors, large windows and pretty paintings. 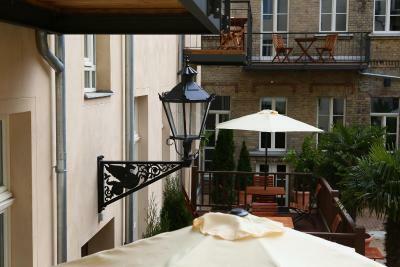 Restaurants, cafés and bars can be found along the popular Oranienburger Straße, just 0.6 mi away. 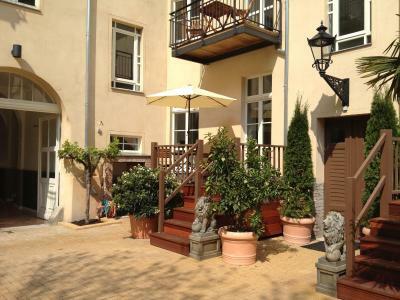 Garden Living is ideally located for sightseeing, with the Museum Island and Brandenburg Gate within 1.2 mi. Naturkundemuseum Underground Station is 650 feet away. 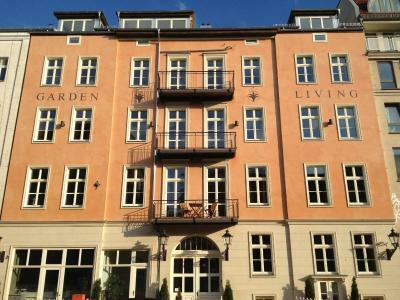 When would you like to stay at Garden Living - Boutique Hotel? Stylish room with a cable TV and a private bathroom. 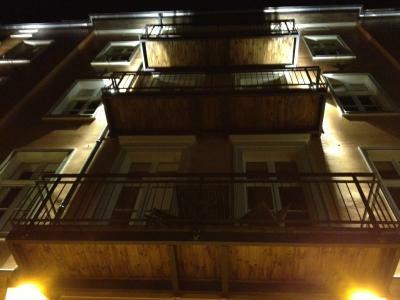 Some rooms have a balcony with direct access to the garden. 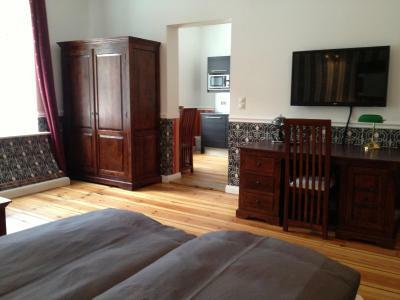 Stylish apartment with a well-equipped kitchen, cable TV and a private bathroom. 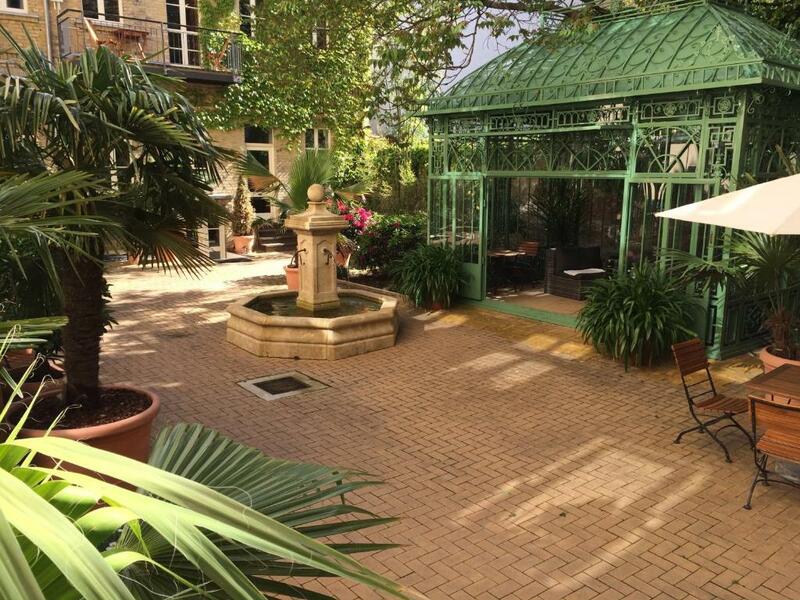 House Rules Garden Living - Boutique Hotel takes special requests – add in the next step! All children under 10 years are charged EUR 35 per person per night for extra beds. All children from 10 to 14 year are charged EUR 40 per person per night for extra beds. All children from 15 to 17 year are charged EUR 50 per person per night for extra beds. Garden Living - Boutique Hotel accepts these cards and reserves the right to temporarily hold an amount prior to arrival. If you expect to arrive after 18:00, please contact the property in advance to receive an entry code. Guests are urged to contact the hotel in advance to reserve a parking spot. 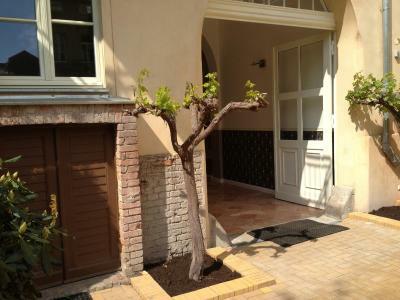 Please inform Garden Living - Boutique Hotel of your expected arrival time in advance. You can use the Special Requests box when booking, or contact the property directly using the contact details in your confirmation. Building is lovely and location is perfect. Transfer from airport could not be easier/cheaper. Airport shuttle to central railway station for 3.5 euros then 10 minutes walk to hotel. Staff extremely friendly & helpful and breakfast is very good value at 9 euros. Sounds of the city (esp. Tram) are a bit louder than expected. Very central, easy to get everywhere. Berlin superb- so much to do and clean and efficient. Hotel just lovely a haven in the city. Clean, comfortable (brilliant bed) excellent breakfast and such a good location. Hotel was further away from the main attractions than I expected. There is only one member of staff, a receptionist. Didn't find them particularly helpful - not given a particularly warm welcome, not given a local map & shown local attractions in relation to the location of the hotel, which is a usual & helpful welcome. 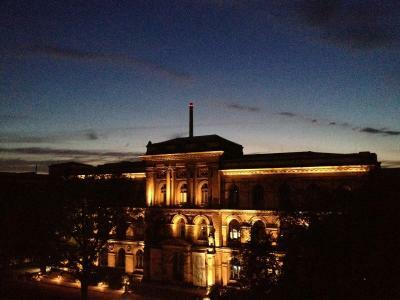 There was lots of fencing in the area of the Reichstag, Bradenburg Gate & Tiergarden & it was obvious a big event was going to happen & I asked the receptionist what was the occasion………...she said she did not know & was clearly not interested - not great customer service. Tea & coffee facilities are in reception area but the receptionist had not topped up the water before going off duty in the evening so we couldn't have a tea at 9pm. 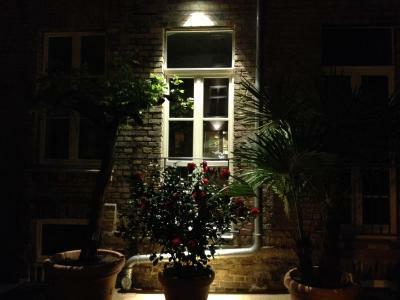 Clean hotel, small garden area & two sweet cats. We could only stay one day - this would have been worth of much more time. very clean, very friendly and customer-orientated. 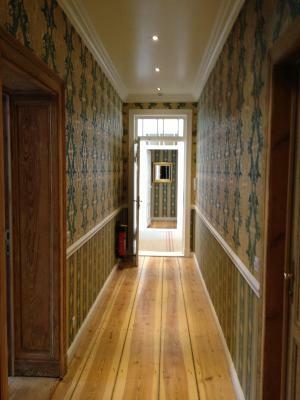 The room was just a complete stunner, am lost for words. 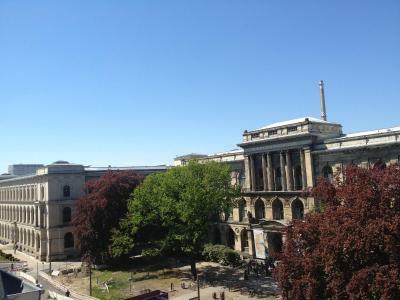 In direct near to the train-station, the university and the Friedrichstrasse with all its shops and pubs and restaurants. We liked every aspect of it. 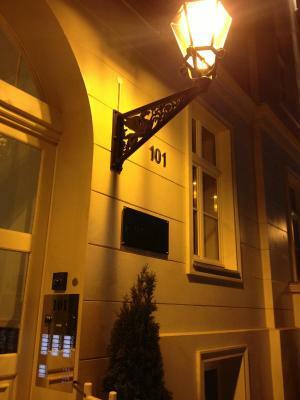 Brilliant rooms and good location, pleasantly different from the norm plus excellent helpful staff. Bike hire a bonus. The standard room was very big. We even had a kitchen area. 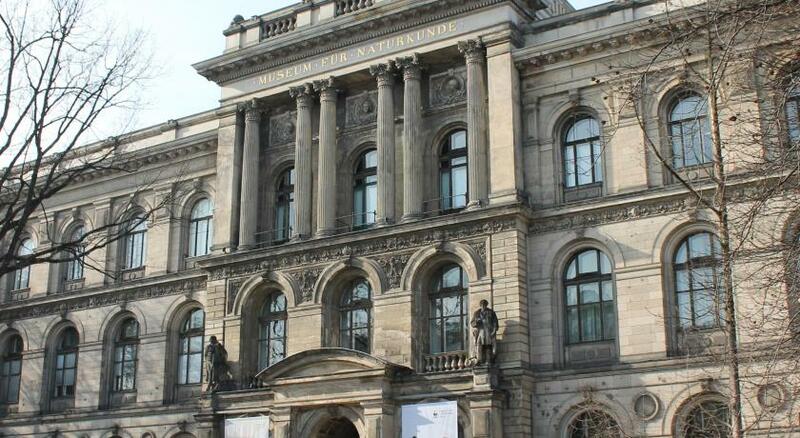 It is accessible on all transport to downtown Mitte, but can feel a little far away from the action at times. 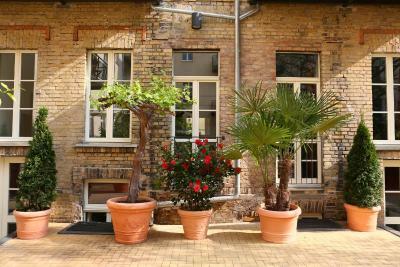 Relaxed atmosphere, nice boutique style rooms, very good value for Berlin. The kitchen could benefit from a cutting board. A pen and paper in the room would be great as well. 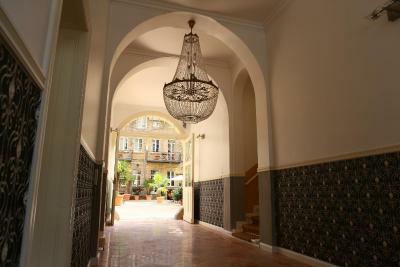 The rooms are lovely with beautiful high ceilings and the space is bigger than expected. It is very clean and the bathroom is wonderful. 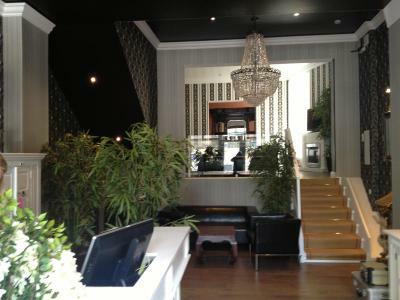 The atmosphere is tranquil and quiet a perfect place to wind down after a busy day sightseeing. The staff are friendly and very helpful. The location is superb. Large high ceiling rooms, comfy bed, balcony. 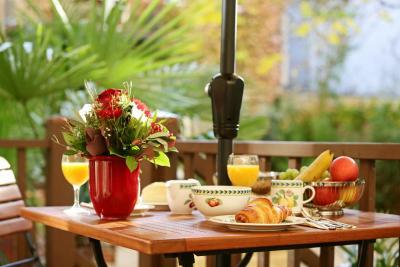 Lovely garden view breakfast room with great choice of fresh continental breakfast. Free coffee and tea in reception 24 hours. Honesty bar area with a few drinks and snacks. 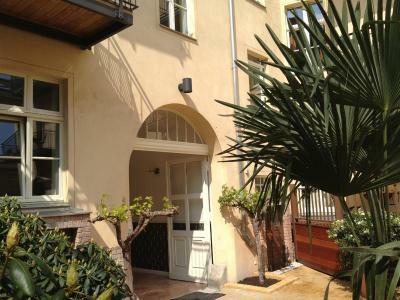 Great location if you don’t mind a short walk to main tourist attractions and shopping. Opposite the wonderful Natural History Museum.